An homage to Byte Magazine and Robert Tinney #ArtTuesday « Adafruit Industries – Makers, hackers, artists, designers and engineers! Robert Tinney that was a mash-up of computers and something else. 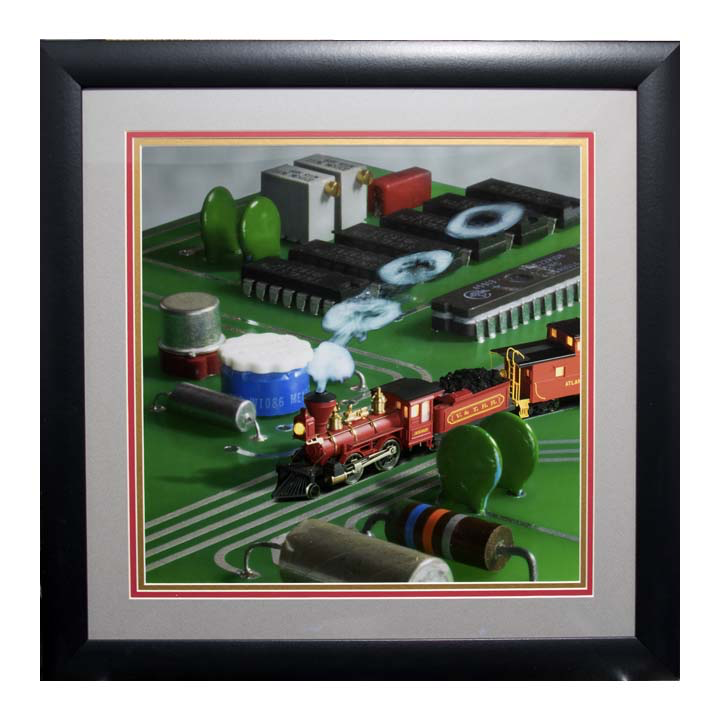 I’ve just completed an art project that was inspired by one of those covers, “Computer Engineering”, which showed a train chugging around a PCB. My idea was to create a photograph showing the “real life scene” that he might have painted. That is, I made a printed circuit board that resembled the one in the painting, photographed it, and Photoshopped a picture of an HO scale model train onto it. You can see the result on my blog at http://www.galacticstudios.org/byte-magazine-cover/.